There’s no such thing as “impossible“, with our artificial snow products! 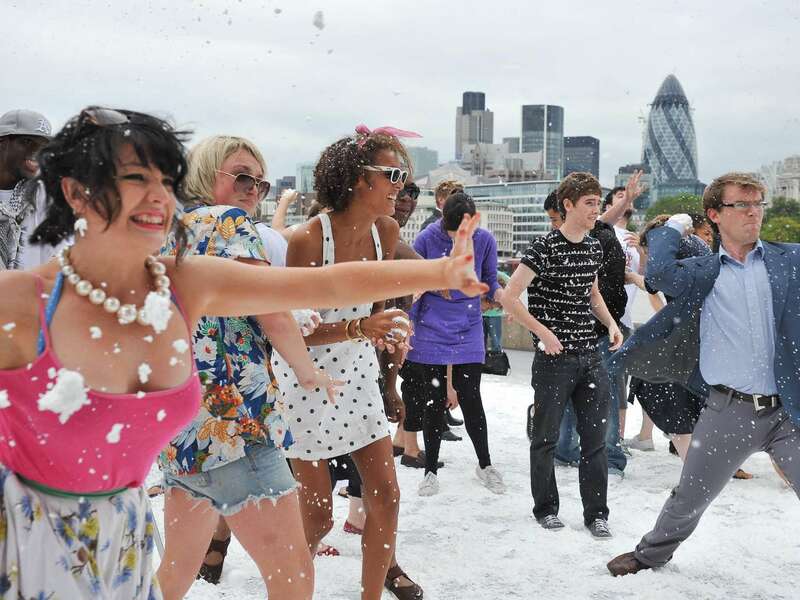 Why not make an impression with a leisurely snowball fight in the spring, summer or autumn? Our decorative snow makes it possible! Take advantage of artificial snow and enjoy a snowball fight without freezing or having to wait for real snow. An enormous pleasure for young and old alike! It’s not for nothing that there has been a snowball fight world championship for a few years now! You only need our “Movie Snow HSX“, a fine-flaked paper snow made of pure cellulose and tapwater. let the snowball fight begin!